I have no idea what this flower is called. You can find out the background here. Care to leave a guess? 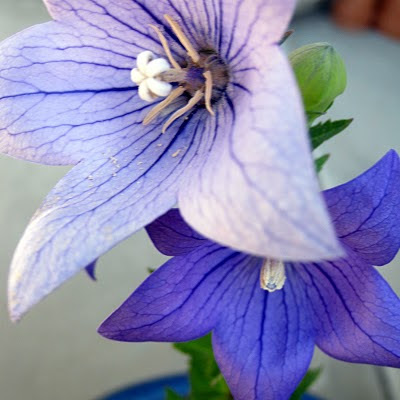 They are called 'Balloon Flower' or The Chinese Bellflower and I love them. We have them growing here (somewhere) in the summer, whenever that might return. Gorgeous colour aren't they?